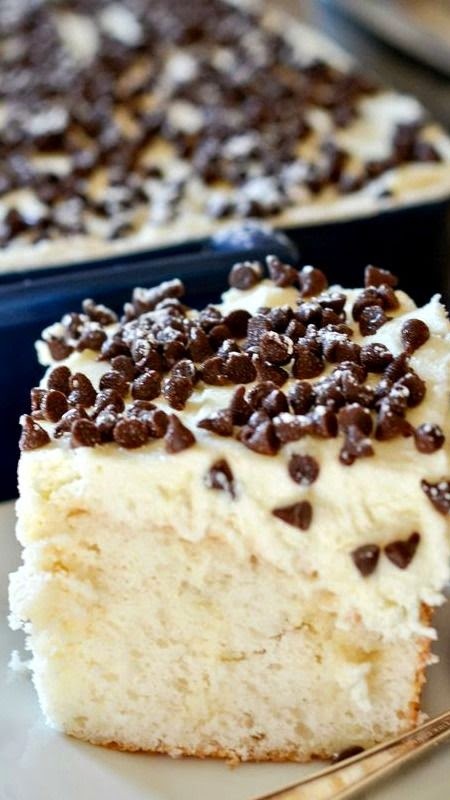 Cannoli Poke Cake | FoodGaZm..
You are going to love this cake! A vanilla cake, soaked with sweetened condensed milk, covered in sweet cannoli filling. Ah-mazing! The thing about this cake that really appealed to me was that it’s not at all a typical cake. The frosting is sweet, but it’s not “buttercream-sweet.” It’s creamy, it’s rich, and when you get a little burst of chocolate, it’s like a little bonus – an extra bit of flavor – and it’s ALL good.